The Game Developer’s Conference 2015 is around the corner and this year, the manufacturers of the eighth generation video game console and the creators of our favorite games will explain and reveal exciting new stuff. Among other major vendors, Sony and Microsoft have tons of stuff to talk about, all centered on the latest consoles. 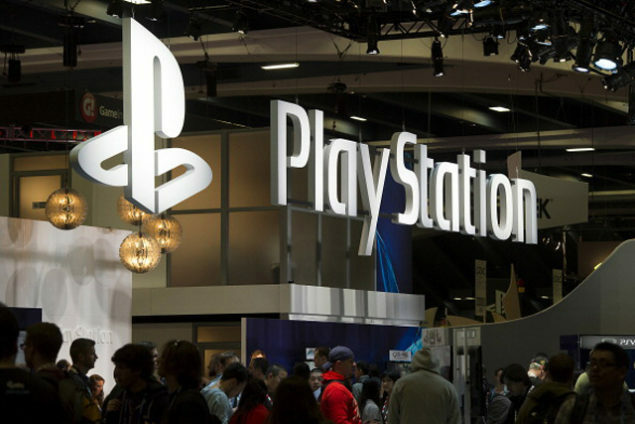 From PlayStation 4 GPU Optimization to DirectX 12, below are all the important planned sessions that will be held by Sony, Microsoft and AMD at GDC 2015, which will takes place at the Moscone Convention Center in San Francisco from March 2 to 6. Passes for this year’s Game Developers Conference are selling out in short order, and as the event draws closer, major vendors in the video game market are announcing their plans and sessions for the main conference. The two most influential video game giants also have a lot to discuss at the largest annual gathering of professional game developers. Both platform holders will conduct a slew of sponsored panels at GDC 2015, talking about some of the most interesting features and technology for PlayStation 4 and Xbox One, and Microsoft’s upcoming highly anticipated Windows 10 platform. Some of the important panels that Sony will be conducting will focus on the optimization of the PlayStation 4’s GPU for more effective and competent results, and connected game experiences that will allow players to use PlayStation 4’s social and community features in the best way possible. The platform holder will also talk about its virtual reality headset, known as Project Morpheus, and there will also be a session conducted on how indie developers can make their games shine on PlayStation using the power of Unity. Microsoft has announced more than 16 planned sessions for GDC 2015, with Xbox boss Phil Spencer, Microsoft technical evangelist Amanda Lange, and various other engineers and developers listed as featured speakers. Among tons of other stuff, Microsoft will talk about the unique features and the offerings of its upcoming DirectX 12 API, video game development for Windows 10, cross-platform matchmaking and gameplay for PC and Xbox One, and how Fable Legends manages its cross-device gameplay with Xbox Live. If you are not interested in hearing about DirectX 12 from Microsoft, AMD will host its own session about it, explaining how the upcoming graphics and video game API can eliminate performance bottlenecks and allow developers to make use of new techniques to gain increased efficiency and performance. Without further ado, you can check out the list of all the planned presentations that will be held by Sony and Microsoft at GDC 2015. Pass Type: All Access Pass, Audio Pass, Independent Games Summit Pass, Main Conference Pass, Summits, Tutorials & Bootcamps Pass – Get your pass now! This sponsored session will give attendees an overview of the various GPU debugging and optimization tools offered to PlayStation®4 developers. Attendees will gain a clear understanding of which GPU debugging and optimization tools are available to PlayStation®4 developers, and how they can be used to debug, profile, and best optimize their game on the platform. The PlayStation®4 is the best place to play because it is built from the ground up to allow players to find and access great gaming experiences faster and easier than ever before. The ability for players to share their gaming experiences with their friends is an important component to achieving this goal. In this talk, we will describe some of PS4’s powerful social and community features and how you can build your games to take advantage of these features to provide new and unique user experiences. We will discuss best practices and showcase some examples of titles making use of these features today. Attendees will learn how to design their games to take advantage of PlayStation®4’s social and community features, enabling them to foster and grow the community around their game. Project Morpheus not only aims to bring Virtual Reality to PlayStation, but more importantly brings PlayStation to Virtual Reality. This session will focus on updates since last year’s Project Morpheus GDC presentation, and will give developers new information about creative opportunities when designing VR experiences for PlayStation 4. Topics covered will include updated game design information, the use of PlayStation peripherals in VR, and the unique social experiences possible only with Project Morpheus. Attendees will gain an understanding of the new and novel experiences that can be created when working with Virtual Reality on the PlayStation platform. This should enable developers to design VR game features and mechanics that embrace the unique opportunities available with the PlayStation ecosystem. This session will provide an update on the current state of PlayStation® from an Indie developer point of view and a high level overview of Unity support for PlayStation. We will share some key things to keep in mind when bringing your Unity game from other platforms and highlight PlayStation® 4 features and tools that can help make your game shine on the PlayStation®Store. This presentation is best suited for developers new to PlayStation or considering development of Unity titles for PlayStation. PlayStation® is a viable Indie platform and it is very easy to bring over Unity games from other platforms. This session will provide a high level overview of Unity support for PlayStation, Interface, submission process and some key PlayStation social features that can help your game stand out in the PlayStation®Store. Head over to next page for Microsoft and AMD sessions.